Not even a year old, the online retailer website Jet.com is already rivaling the industry giant, Amazon, and is said to have hit $1 billion in gross merchandise value this month. So how exactly did Jet.com’s Marc Lore manage to enter a market already dominated by Amazon and achieve this level of success? The answer is an ingenious business model and powerful use of analytics. Jet.com operates on a real-time pricing algorithm that analyzes the items in a shopper’s cart including where they are shipping from, what other retailers are charging for them, and which sellers offer the best price, both on the shipping and the item itself. Jet.com then suggests other “smart items” that can be added to the shopper’s cart to make it even more efficient and save them money. Jet.com also allows shoppers to further customize their cart and lower their costs by giving them options such as the ability to waive their right to return an item. This model of fluid pricing is a revolutionary system that is almost single-handedly responsible for the website’s success. Much of what Jet.com offers is centered around great analytics. They, however, are not the only retailer who is able to gather pricing info and put it to use. By implementing a powerful price monitoring tool such as PriceManager, online retailers can track their competitor’s pricing in real time, guaranteeing that they always offer the lowest price on a given item. 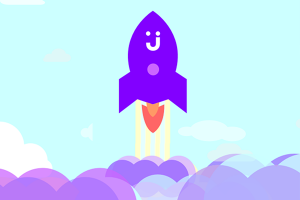 As the success of Jet.com has proven, having the lowest price is sometimes all it takes to rise to the top and challenge competitors that are as large and established as Amazon. By using PriceManager, you can gain access to many of the same analytics that Jet.com makes use of and put your business on track to mimicking their success. Knowledge is power. And, as Jet.com has shown, the right use of that knowledge is even more powerful. Now, using tools such as PriceManager, online retailers can gather valuable data of their own and start putting it to use in exciting (and perhaps extremely profitable! ), new ways. to challenge it not only in areas where it normally is vulnerable, but also in areas where you see it normally is secure. Ongoing competitor price monitoring with a price tracking tool like PriceManager will help keep you fully aware of those vulnerabilities and high-margin areas so you are always prepared to act.